Due to its climate, Colombia grows a great variety of potatoes, some of them which can only be found in the Andean region, like papa criolla. So it’s no surprise that they have a long list of recipes that are made with potatoes such as any kind of stew or soup like sancocho, tamales, empanadas, papa salada (salted potatoes) and papas chorreadas, which is the recipe I’ll be showing you how to make today. This dish is very popular among Colombians which is the reason why it has been requested several times not only on my YouTube channel, but via email as well. 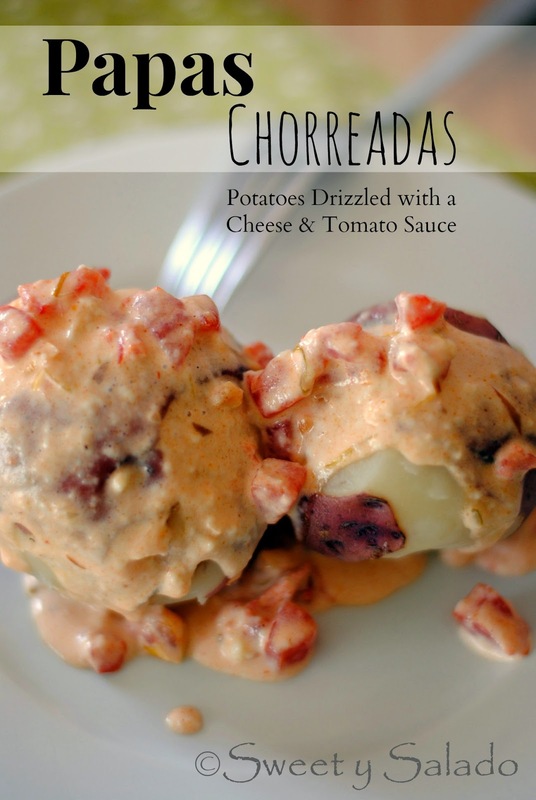 The recipe comes from the central part of the country, mainly the departments of Cundinamarca and Boyacá, because it’s one of the best regions to grow potatoes due to its climate. In all honesty, it’s one of the easiest recipes you can make because it’s pretty much just a combination of hogao (onion and tomato sauce) with heavy cream and cheese. The best part is that you can use whatever kind of cheese you want, in the video I used queso fresco which is what I had on hand but you can use mozzarella, Parmesan, feta and if you like spicy food, let me tell you, they come out amazing with pepper jack! 1. Partially peel the potatoes and place them in a medium pot with enough water to cover them. Season with salt to taste, cover and bring to a boil on high heat. Once they are boiling, reduce the heat to medium and cook for about 40-45 minutes or until tender. 2. To make the sauce heat the olive oil in a large pan on medium heat. Then, add the onion and garlic and cook for about 1-2 minutes. 3. Add the chopped tomato and season with the cumin. Let it cook for about 5-8 minutes or until the tomatoes are tender. 4. Now, add the heavy cream, cheese and season to taste with salt and pepper. Cook the sauce until it thickens, approx. 5 minutes. 5. 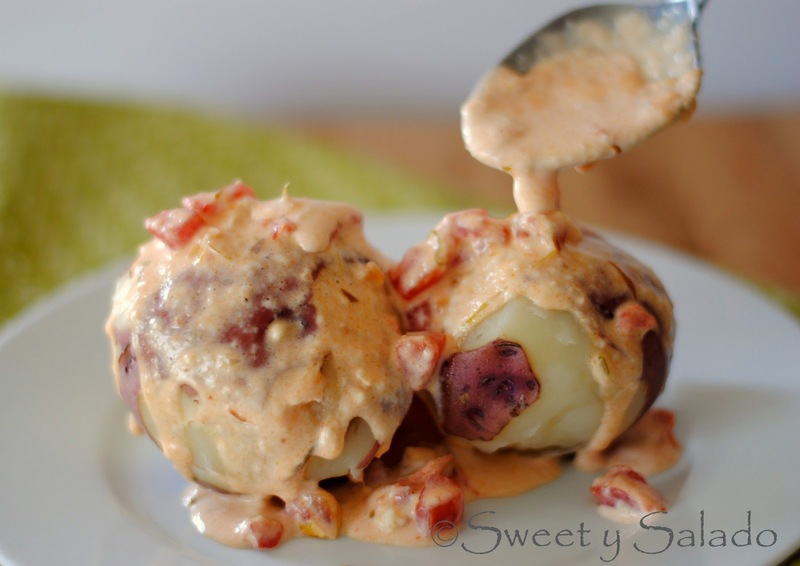 Once the potatoes are cooked and drained, serve them and cover them well with the sauce.